Head over to Amazon and get this Lego Star Wars Solo: A Star War Story Landspeeder Kit for Only $25 Shipped! (Reg. $40). Recreate action-filled scenes from Solo: A Star Wars Story with this LEGO Star Wars 75210 Moloch’s Landspeeder set. The infamous gang leader’s vehicle features an open minifigure cockpit, storage hold at the rear and hidden wheels for a cool hover effect. 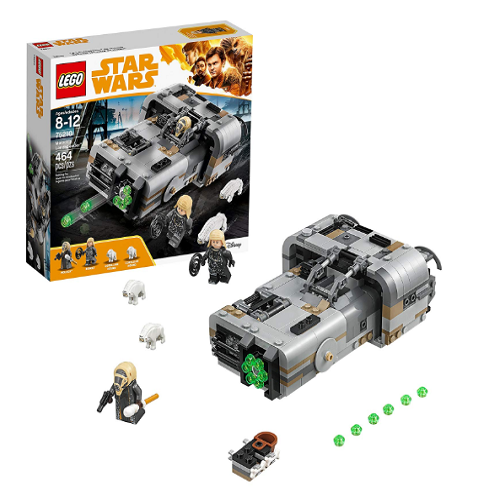 This Star Wars building toy also has a 6-stud rapid shooter for intense action play, and an opening cage to hold the 2 Corellian Hound figures to add an extra dimension of battling fun for any LEGO Star Wars fan!